My name is Michelle Spradlin. I am 32 years old and a junior at Tennessee Wesleyan College. I am also a military wife, a mother, a daughter, a friend, a big sister and am very blessed to be loved. I am very involved in my community, my church and my daughters’ activities. If you had asked me ten years ago about my thoughts on college, I would not have known where to start. I have a great family who taught me to work hard, and so I do my best. Five years ago, my husband was returning from his first tour in Iraq and I was working as a branch manager of a bank. We decided then that it was time for me to start college. I was unsure of how to begin or where I’d end up, but I knew that I wanted to teach in the public school system. I fall every day, but I have determination and hope. I hope that when I have the privilege of being called teacher that I inspire my students to exceed in all they do. I will also share with them what a great privilege we have to be Americans. 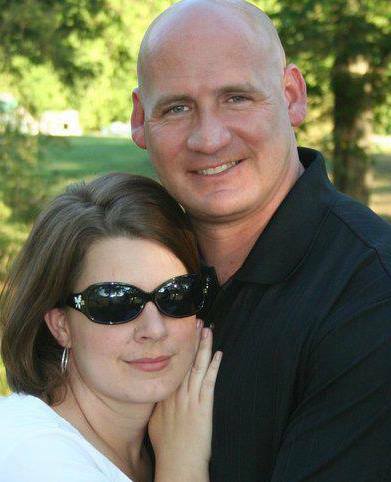 My husband, Eddie Spradlin, served ten years with the United States Marine Corps. He was deployed with the Marines to Fallujah, Iraq, in 2004. He is currently serving with the Army National Guard. He deployed with the National Guard to Camp Bucca, Iraq, in 2007. His deployments taught us we could face anything! That being said, college presents financial challenges that are difficult to face. If not for programs like ThanksUSA, it would not have been financially feasible for me to attend college. I am very thankful to all who support such an outstanding program. It makes me feel proud and humble that I was chosen as a 2009 ThanksUSA Scholarship Recipient. I look forward to being able to give back to our country through my own education. Thank you again; not only for the financial support, but also for believing in me! Thank you, Michelle! We wish you, and all ThanksUSA Scholarship Recipients continued academic success. If you would like tickets to the ThanksUSA benefit concert, please visit Ticketmaster. Featured artists for the event include Vince Gill, Amy Grant, Jim Lauderdale, The Steel Drivers, Leslie Satcher, and Monty Holmes…hope to see you there!